The new look of our website was brought about by the expansion of the ministry into other states and even other countries. God is moving throughout the world to reassure His elderly flock that they have not been forgotten. We are delighted to be among the tools He uses to bless His people. We hope to be able to provide more information about what God is doing through this ministry and to be able to share what we've learned to help you become involved as God directs you. We invite your input and participation in this work of the Lord. 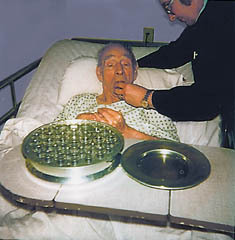 Forgotten Saints Ministry began in 1981 when founder Chaplain F. Edgar Sample found himself in a nursing home for rehabilitation after a lengthy hospital stay. It was there that he was awakened to the lack of spiritual resources available to the residents of the home. 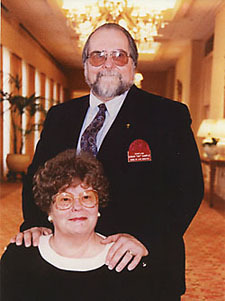 Soon after his recuperation, he and his wife Val made the commitment to dedicate their lives to bringing spiritual refreshment to nursing home, assisted-living and retirement home residents throughout the Dallas/Ft. Worth Metroplex. They didn’t realize at the time the great plans that God had for them. We often classify ourselves as a “non-denominational” ministry but perhaps it’s more accurate to think of us as a “multi-denominational” ministry. The residents of these types of facilities come from every spiritual background found in the “outside” world. Some are used to very orthodox and formal church services while others come from more expressive and interactive spiritual backgrounds. We strive to make each service we provide applicable to the varied individuals to which we minster. That’s why we incorporate special holiday services or formal robes or palms and ashes when we feel it will mean something to the congregation we serve. Our services are like a good recipe -- a little bit of this and a little bit of that. The result is a spiritual delicacy that our congregations gobble up. We want church to be church to our congregation and if that means a bit of “creative cookery”, that’s fine with us. However, we will never water-down or alter the truth of the Bible and the Gospel of Christ. Jesus told us to worship God “in Spirit and in truth.” He also told us that we should worship in everything we do. We want those we serve to feel comfortable joining in the worship of God. Our staff and volunteers provide weekly worship services, Bible studies, in-room visits, patient and family counseling, hospital visits, funeral services, grief counseling, and seasonal programs. 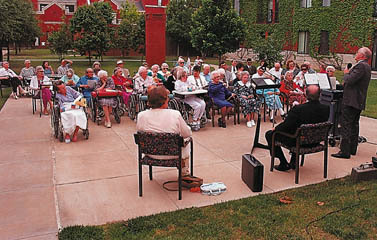 Nursing home residents have changed a lot since the ministry first began. Residents today are a lot sicker and more feeble than at first. Many are not able to attend a formal service so we often must go to their rooms with spiritual refreshment. Forgotten Saints is also concerned about the whole person and we are pleased to be able to provide clothing and medical supplies as well as seminars on the special circumstances and care of the elderly when the need arises. This mission that began in 1981 in Irving, Texas has expanded to a world-wide ministry touching thousands of lives. 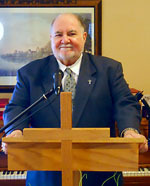 Forgotten Saints Ministry reaches the elderly in the U.S., Australia, Africa, and Canada and expects to further expand. Most of the leaders of these outposts began their journey as volunteers with Forgotten Saints Ministry in the D/FW Metroplex. Scores of volunteers have been blessed with the satisfaction of knowing they made a difference in the life of someone who was lonely and spiritually hungry. Everyone involved with the Ministry today is constantly enriched by the appreciation and love poured out by those to whom we minister. The victory of another soul saved is great encouragement after it seems, in our own eyes, that our work may be in vain. God never ceases to provide little surprises and blessings that turn into fond memories of the people we’ve had the pleasure to serve. It’s a joy and more fulfilling than words can describe to be a part of Forgotten Saints Ministry. We invite you to explore this website and discover the ways you can be involved in a ministry like no other. We’re confident that you won’t regret it. According to the census bureau, nearly 10% of Dallas County's population is over the age of 65. Ten thousand of those live in nursing homes. It's sad to note that about 60% of nursing home residents will never receive a visit from anyone and 12% of all elderly people live below the poverty level. Texas is 3rd in the U.S. with 89,698 nursing homes. The oldest-population (those aged 85 and older) is projected to double—from 4.7 million in 2003 to 9.6 million in 2030—and to double again to 20.9 million in 2050. 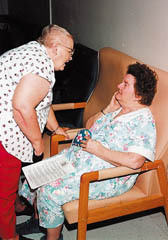 More than 50% of nursing home residents have no living close relative. About 80 percent of senior have at least one chronic health condition and 50 percent have at least two. The older population in 2030 is projected to be twice as large as in 2000, growing from 35 million to 72 million and representing nearly 20 percent of the total U.S. population at the latter date. Young people ages 31 to 64 now make up 14 percent of the nursing home population. That’s up from 10 percent just 10 years ago. In 2010, almost 9% of Dallas’ population was 65 or over as was 13% of the U.S. population.